You’re not free to leave because you have to pay the fee. 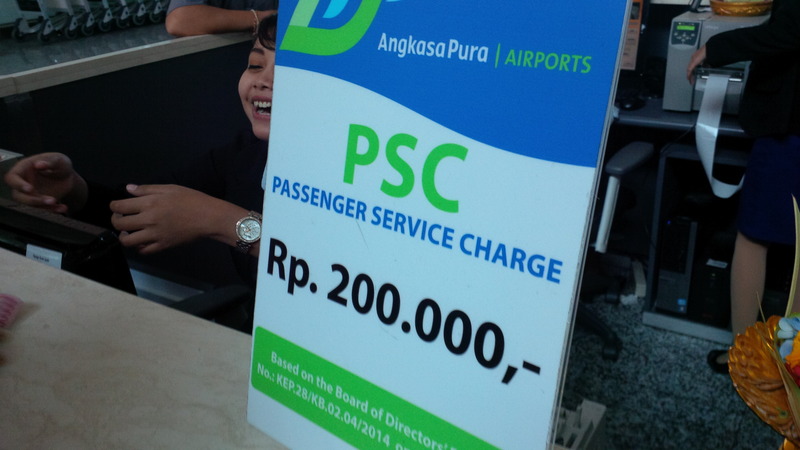 Philippines, Costa Rica, and Bali, Indonesia all charge this nonsense departure tax that is supposed to support airport infrastructure or youth development programs or whatever catchy line the agent tells you the day you are departing. I don’t care that they are charging even if it is a sham and they are doing nothing but taxing rich tourists. That is fine with me. My issue is why it isn’t included within the air fare or charged as part of the visa on arrival (and departure) so that I’m not fumbling around for Rupiahs that I just haphazardly spent on 4 San Miguels before getting to the airport. Graciously, they do accept American dollars so I managed to get by Zacchaeus and board my plane to Singapore, an economical interlude aboard Air Asia before my suite class flight on Singapore Airlines.